December 3, 2013 — We received this question from a member recently and thought it was worth publishing, along with our answer. Q: Have decided that I want to soon retire to FL but unsure about finding a place to live near one of the coasts or in the interior, such as the Orlando and Ocala areas. Am hearing lots of scary stories about the costs of homeowners and flood insurance if living near the coast, but part of the appeal of living in FL is being able to go to the beach. I’d appreciate thoughts on the pros and cons from those living in FL on living near a coast vs the interior. Thanks for any help offered. A: Florida is a big state with multiple regions. 2 coasts (Atlantic and Gulf) with beautiful beaches. North and south. Warmer south. A very big interior section filled with lakes. Insurance is a tricky question in Florida, where flood insurance is being pushed to market rates, wind insurance can be expensive, and there is an insurer of last resort. Here is a link to a 2 part article we wrote on FL, “Sunshine State is Bigger and More Diverse Than You Think“. Our best advice: Come down this winter and travel around. Once you visit some places you will get a better idea. There are probably lots of places where you could be happy. Comments: What part of Florida do you think is the best for retirement. Please share your opinion and responses to the member question in the Comments section below. We have friends who may be forced to move from their retirement home near the Gulf and Crystal River due to wildly increasing flood insurance rates. Travel about to decide which area you prefer best but then check on insurance rates. 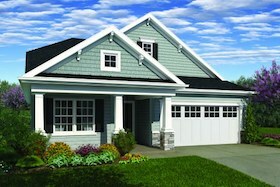 We just built a retirement home in Bluffton, SC, moving from Central FL. We bought flood insurance and it’s a fraction of what our friends are paying now before their increase. My wife and I have done vacationed and searched for real estate up and down both east and west coasts of Florida. We found the southern east coast over populated and northern too cold in the winter. We were seriously looking at the Melbourne area, when we were told by many people, we should consider the west coast. We did, and immediately found it to feel like the place we wished to retire to. After much exploration, we fell in love with Sarasota. City activities are amazing, culturely diverse, beautiful beaches, outstanding restaurants, and friendly people. We purchased a home in Sarasota which we will move into mid December. Tampa Bay has the most to offer, in my opinion. Major league sports, less exposure to hurricanes/weather events, diversity, great health care, cultural events, shopping, great beaches, etc, etc, etc. Hard to beat! We retired early from Western New York State and relocated to central Florida in a city of 35,000, Winter Haven, midway between Orlando and Tampa. We found it to be a central location for everything we need and enjoy doing. We are roughly an hour from either coast yet are far enough away to avoid the throngs of people every day. Orlando airports are close and have many flights to everywhere and at reasonable fares, there is an Amtrak stop right here in town making trips South to Ft. Lauderdale and Miami easy. Traveling north AMTRAK stops in places like Savannah and Charleston which are interesting places to spend a few days. Realestate prices here are reasonable. Homes with lake views are easy to come by as there are 50 lakes within the city limits. 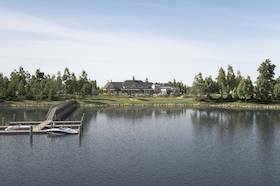 Excellent large older condos with lake views can be gotten here for forty to ninety thousand and range in size from 1,000 to 1,600 sq.ft. Disney and Orlando are 35 minutes away. Season passes for FL residents are very inexpensive. This area is convenient to the ports for those who like to cruise. Port Canaveral is an hour away and Ft. Lauderdale and Miami are several hours and even reachable by AMTRAK for those who enjoy going a day or two before the cruise. For an economical and convenient retirement with lots of stuff to day I would suggest central Florida in a small city like Winter Haven. I have lived in Florida most of my life and spent a good deal of it in the Orlando area of Central Florida. Only when I moved to the coast (Melbourne area) did I realize just how oppressive and unbearably hot the interior of the state is during the summer. Ocala is even worse than Orlando because it sits in a hole. Also, the east coast is the only option, as the west coast is just as hot, if not hotter than the interior, with no seabreeze. It is outrageously expensive to live here now, with the population, traffic and the price of housing, taxes and especially insurance escalating at exponential rates. I pay almost $2,000/yr to insure a 1600 sf home. If you are living somewhere that you like and can afford and the climate is not unbearable, I suggest that you consider staying put. Florida used to be a great place to live, but like everything else, too many people ruined it. to Bigfoot comment. Maybe the taxes and insurance and real estate are high in Melbourne because of being right on the water and more subject to problems. You will find real estate much less expensive and in Winter Haven where we live our property taxes total dropped 60% this year !!!!! We were paying $600.00 per year toatal (that’s right six hundred dollars homesteaded) for our 1500 sq.ft. lake front condo now this year we pay $200.00/year. What a relief. People need to come down to Polk County area where the living and the costs for living are easy. Polk County is bigger than the whole state of Rhode Island. semi rural with citrus trees all around. Don’t write central Florida off you possible places to retire!! I agree with Bigfoot. We moved to Sarasota July 2001 and have seen it get so overcrowded through the years. Traffic is not bad during our dreadfully humid, hot summers but as soon as October 1 rolls around, look out. You can no longer go out to eat as the snowbirds make it unbearable. The extra traffic adds a good 10 to 20 minutes of travel time. Housing is expensive. I cannot speak for the rest of Florida but do have friends who used to live in Naples, moved up here to get away from the overcrowding, and now are looking to get out of Florida. :mrgreen:Sarasota is one of the best places in Fla. You sure can’t please everyone, but my sights are set on Sarasota, and a lot of time on my boat,. I agree with bigfoot also. I have lived in Florida (Altamonte Springs, just north of Orlando) since 1970. Back then it was great – no traffic and the lakes were safe to swim in, and the beaches were not crowded at all. Then Disney came, and now the place is ruined. I would highly recommend you find another place to retire. Public transportation here is non existent. Urban sprawl everywhere – you can’t go anywhere without getting in your car. It’s too hot in the summer. Traffic is unbearable. Insurance on your house is crazy. The people are nuts too. I retire in about 5 years and am getting out of here. I apologize to all you folks who like it here, but it’s not what it used to be at all. My wife and I moved to Florida 3 years ago from Colorado (another beautiful state but aren’t they all). We lived in Central Florida for 2 years and now live on one of the keys off Sarasota. We have traveled all over Florida since moving here. Do not listen to the nay-sayers, Florida is a paradise and there are many kinds of lifestyles to be enjoyed here. Central Florida has its advantages like, the Chain Lakes, outstanding attractions and easy access to either coast within a few hours or less. Either coast offers unbelievable beaches, waterways and a variety of seaside lifestyles. We choose the Sarasota area because it offered a lifestyle we wanted to live. Growing up on Long Island we wanted back to the water. Florida is definitely worth considering – just depends on what YOU are looking for and what YOUR dream is. TopRetirement.com gave you the best advice – come down and experience it first hand. My friend and I are going to Sarasota for vacation on Saturday. This is the first leg of our “where should we retire” adventure. She lives in Northern VA and I’m in NYC. We intend to combine households to make life more manageable once we retire. Sarasota is one of places we’re considering along with St. Augustine and Gainesville in FL, Savannah and Athens in GA. Love all the info on this site and truly appreciate your insights. Please keep them coming! Check out Flagler County, south of St. Augustine. A number of master-planned communities (or not), canals in some areas, beach is three miles off 95, minimal traffic (although they do have red-light cameras), and more of a small-town atmosphere. Housing prices are reasonable, too. Don’t come here if you’re a shopoholic, though. You will be disappointed. We live “over the bridge” on the barrier island, and bike to the grocery store. After two years of exploration, we came to realize that Sarasota is the place we wanted to call home. We purchased a lot in a new section of a gated community, and are in the process of designing the home which will be built next year. If you’re looking for an over 55 community, you won’t find many in Sarasota. We did not want over 55, we wanted to be with a variety of ages. Sarasota is more like the city with urban amenities, as compared to a retirement community. Maybe that’s why we love it so much. I don’t worry about the summers and how uncomfortable it may be, as we will be one of those dreaded snowbirds. Undeniably, Sarasota is pricey. It didn’t experience the freefall of real estate prices as some other places in Florida did, part of that may be explained because it was recently number one and number two for places to retire. Thanks Jan. I do most of my shopping on line so that’s not a deal breaker. Will definitely put Flagler County on the list. We live in Boca Raton. I have always wanted to retire to a gated 55+ community with a full clubhouse and heated pool. You have to be careful when looking at communities because not all communities heat the pool all year round. This may not be a factor in early retirement or if you are in good health. However, I have medical problems and the best exercise for me is in a heated pool. Most communities heat the pool for only Oct – April. My community, Century Village West, has a year round indoor heated olympic sized pool at the clubhouse. There are also smaller pools at each condo cluster in the development and an outdoor olympic sized pool that are heated for the season. Taxes are approx $350 and total insurance incl flood and hurricaine approx $1000. That is much less than what I was paying in NY. The other advantage to living in this particular community is the bus service that is provided to anywhere in Palm Beach County. It is included in our low maintanence payments of approx $400. Since it is required that we pay for our condo in this community for all cash, we have no mortgage. So when we sold our house in NY, this condo was easily affordable and we are only 10 minutes from the beach. We really love it here. It is a great place to live with nice friendly people. Back from my first trip of “where do I want to spend the rest of my life.” My friend and I went to Sarasota and stayed on Siesta Key. We loved it! Although we know we could never afford Siesta Key, there are plenty of beautiful areas in Sarasota that we can. I found getting around Sarasota very easy…streets are well marked and everything seems to be off Highway 41. I was very comfortable driving which is unusual for me in a strange place. I know that people have complained about traffic but I guess they have never driven in Manhattan. Traffic was nothing. I loved the contrast of being at the beach while being 20 minutes from museums, theatre, shopping etc. All in all, 2 thumbs up. Sarasota is at the top of my list (although since it’s my first “toe in the water,” that can change). We had a similar first impression of Sarasota. We made several more trips only to validate it is a great place to retire. Drove down from Connecticut leaving on Tuesday in a snow storm, arriving on Thursday to our new home. There is supposed to be a Blizzard in Connecticut tonight; we will be on the shore watching the boat Christmas parade…… Predicted high of 84 degrees. So much to do here and the people are real friendly. I have not been here in during the winter months, but so far, traffic is not bad. Rick: That’s great. Good luck to you. Unfortunately, I still have a few years left before I can do the same. Please post how you’re enjoying your new life. For what it’s worth, I just returned to snow in PA from a business trip and 85 degree sunny weather in Orlando. It was interesting to hear that Orlando was close to record high temps, as my kids reported snow and ice at home. I didn’t think the traffic in Orlando was bad at all. The weather was certainly great, although it didn’t feel like December or Christmas to me. I wish I could find somewhere where the weather was like FL in December all the time…except with snow on Christmas day. Sharon: That’s because you live in a “4 seasons” place. I kept asking my friend why people were decorating for Christmas in the middle of the summer (it was 82). Though strange, I believe I will easily acclimate. Alternatively, I can always visit people in New York for the holidays! What are the drawbacks of Miami? Although I never lived in FL, I spent the last 30 Christmas in FL to visit my parents. The warm weather is a bit odd at first, but naturally blooming poinsettia were a treat! Last Christmas I spent in CT and realized all my Christmas clothes had short sleeves…oops! I do prefer four seasons and like to see occasional snow. Not sure where I will ned up in retirement. Jan cull inane…flagler beach is my favorite small town in Florida. Very friendly and warm, very casual. True ‘beach community’. As for shopping, you aren’t far from either st. Augustine or Daytona. Agree. It’s a funky beach town. Love it. Go there often, including the Farmer’s market on Friday mornings. Bigfoot, you found through experience what climate experts know to be fact about Florida – the east cost from approximately St. Augustine south experiences prevailing trade winds from the southeast every month of the year except this one, December, when cold fronts typically shift the wind rose to the northwest. These comfortable breezes result in the lowest summer design temperatures in southeastern North America. (Search ACCA Summer Design Temperatures for exact values.) For example, the summer design temp in St. Augustine is 89 degrees. This means that the east coast is your best choice for year-round living in FL. Celine, Tiger and others had that figured out when they chose Jupiter Island for their primary residences. I have a mother in North Ft. Myers on the west coast, a daughter in Miami, and other family in the Jacksonville area. Been to all three at all times of the year, and Clark is right on – the west coast area is very oppressive in the summer, hard to breathe outside from about 8am to 9pm. The constant breeze on the east coast is a blessing and makes it far more desirable for folks who live there year round. Lou asked about the drawbacks of Miami- traffic is the biggest problem that I have found. Everything else- the beaches, restaurants, cultural events, medical facilities – great! Drawbacks of Miami? It’s just like any other large city…traffic has gotten worse over the years, a generalization is that people aren’t very friendly here (always exceptions of course) compared to many other places, crime rate is high. If you’re not bilingual, communicating with many service professionals is a challenge. But lots of great things about Miami too: restaurants, beach, clubs (if you’re into that! ), and of course the weather is the best. Humidity IS high in the summer, but the temps don’t get as high as they frequently are up north! Thanks for you insights on Miami. How do you feel about Jacksonville? I know it is not the balmy weather of further south, but I like being near a big city. Would love your thoughts on the Jacksonville, FL area. I do keep Jacksonville FL in mind although I will probably end up further north. Elaine – Jacksonville is a great smaller city! Some interesting historical areas downtown gaining popularity, great restaurants, excellent beaches, easy airport. My favorite area was Ponte Vedra area just south of the city. 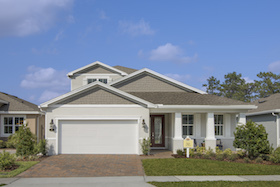 We visited the Del Webb Ponte Vedra in Nocatee, a designed town with many great neighborhoods and a cute village area. Beautiful area, but the quality of construction of the houses at Del Webb was sub-par with top of the line! If you are looking for a city, the JAX area is worth a visit. My husband and I have visited a LOT of areas and both cities and small towns, inland and at the coast. 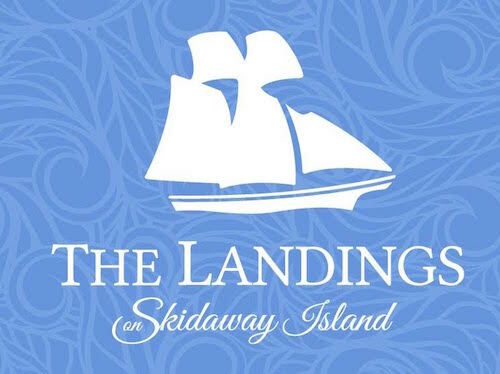 We decided on the SC Lowcountry lifestyle and purchased a lot at Dataw Island in Beaufort SC. Within an hour or so of both Savannah to the south, and Charleston to the north, yet the friendliness and charm of a small town, plus water everywhere! Perfect for us! Thanks SandyZ. Jacksonville, FL sounds interesting and worth exploring. I have mixed feelings about Del Webb communities that I have visited, but perhaps there may be other alternatives. I still think I will end up in the Carolinas, but want to check out other places that sound good. To go there and explore the area thoroughly. This city is the largest US city with many suburbs and a wealth of places to go to and things to do! As in any other city, you need to realize there will be situations of vagrants and crime so you need to be mindful awareness of this! SandyZ. Did you purchase in a community in the Dataw Island area? And before selecting this area, did you check out other towns/cities in the SC coastline? Sandy is the home owners insurance expensive? Are you living in a home on condo? Are the winter months cold? We have been looking into the Myrtle Beach area and really like the area. Look forward to your input. Regarding what coast to live in Florida, hands down I would choose the East Coast. The summer is more tolerable than the west coast due to the ocean breezes. The ocean doesn’t feel like bath water like the Gulf beaches. The winter is warmer on the east coast than the west coast. I am speaking from experience, we actually lived in Naples the and West Palm Beach area. Where are there the least lizards/geckos in Florida. And are they inside the house? I was born in FL and at 3 months of age was dragged to the COLD North. After MANY years I am finally in a position to return to my roots. I currently live in CT, (cold winters and cold people). Is her any place that feels like Tampa/ St.Pete but is as affordable as Ocala? I have spent over 27 years in law enforcement and want a gated 55* community. Golf is nice but it’s not my life. my wife is a social being so activities and interaction are important. Theater, museums and the opera are not my thing. Fishing, beaches, baseball, UCONN Women’s Basketball these are a few of my favorite things.I don.t worry about heat and humidity (Connecticut in summer) my major concern is affordability. The cost of Florida living is about 25% or more less than CT.n honest cop’s ension is not that much. any suggestions? Patty – Lizards and geckos are fine with me – I mean they do all talk with “Aussie” accents don’t they? BUT I draw the line at any size SNAKE :shock:- I hear they can make their way into FL homes esp those on the golf courses. Check out Vitalia at Tradition. Reasonable prices great activities and we are also moving from CT.
Vitalia at Ttradition is in Port Saint Lucie. East coast of FL 50 miles north of West Palm Beach. About lizards. First of all they are cute! Additionally, unless you have holes in your house, they are not walking in on their own. However, you should be careful not to leave your door open for too long as it is possible that they could get inside, providing they are outside your home. I haven’t seen any lately, but that’s not to say that we haven’t had a few in our home over the years. We (or more correctly my husband) captures them in a towel and takes them outside. If there is no food or water source for them, they will die. Believe me, no one is more scared of bugs and creatures than I am and I have had no problem with bugs in the 40 some years I’ve lived here. That’s not to say I haven’t seen them, but I would never hesitate to move to Florida due to a possible lizard here or there! The weather here is fantastic and you will never stop appreciating it!!! And no, I don’t work for the Chamber of Commerce! Good luck in your move everyone! Very much enjoy reading all the helpful comments. This may be a little off-topic but an important factor in deciding where I may wish to live in Florida would be access to a bicycling path. I would like to have convenient access to a path designed for walkers, runners, and bicyclists that does not allow motorized vehicles. And I would like to be able to get in daily rides of at least 15 to 20 miles in length. To those living in Florida, if your community has such bicycling opportunities I would very much appreciate hearing about them. Well Central Florida is the place to be, great weather and lots of horses to see! We live in Ocala and love it here. Ocala is the horse capital of the USA, Yes we were suprised also! An hour and a half and you can have your feet in the Alantic or in the Gulf Coast. Disney is an hour and half south. Some people call Ocala ( Slow Cala ), that’s fine by us it’s a great place to live for me! I suggest that you pick up a copy of the book, Florida’s Paved Bicycle Trails, published by University of Florida..author is Kunerth. The Rail-to-Trail website is also a good source, and publishes books. There are trails all over Florida. Currently, here in Pinellas County, we have the Pinellas Trail, which is 47 miles long and traverses the length of the County. The plan is to make a circle around the County by completing the Progress Energy Trail. This will hook up to a cross Florida trail which traverses central Florida. William Cooper…..check out Valencia Lakes south of Tampa…..very nice community with activities for your wife and close proximity to major college & pro sports for you…..plenty of fishing nearby too ! This site has lots of good information, but is there a way to know what communities have rentals without logging into each individual community? have a community with recreation programs and activities and independent living units for less than $1000.00/month? Moving South: If you go to Advanced Search you can search communities by Rentals. See the Blog post on Retired on Low Income and Renting. Yes, it is possible to find places inexpensively. $1000 a month, do you mean financing a mortgage or just HOA fees – most HOA fees are well below that? I agree about the east coast! We live in Ormond beach, just south of Flagler Beach and St Augustine. We play golf at 1pm in the summers because of the ocean breezes. No one can believe it until they experience it! My parents lived about 7 miles from the beach in Boynton Beach, Southeast coast, and whenever I visited I noticed a big difference in humidity levels and no breezes!!! Can you share what taxes and home insurance is like in that area? We looked in this area last year and liked it. Just had to put in a word for Flagler Beach….the cutest funky beach town in Florida. Locals are very friendly. Town has a very laid-back character. My favorite place in Florida. Thank you Ginger – that area looks interesting. As I recall, that part of the coast is not as hot and humid as the west coast of FL. The county park (Bull Creek), would seem to be a good location to park an RV as it’s a short drive to the ocean. What people don’t know is Flagler, Daytona, Ormond has the highest pollen count in US in winter. Everyone at work has a “cold” all winter which isn’t a cold at all. The pollen comes from the ooaks and pines. Having lived all over FL most of my life couldn’t take it anymore. Moved to the northeast where unfortunately the Yankees are not hospitable like southerners. Really miss it but can’t live there. If you are retiring I suggest The Villages. It has four town squares & about 100 golf courses within the county limits. Each Town Square has live music every night & lots of dining options. People here travel by golf cart due to the fact their communities are centered around these town squares. 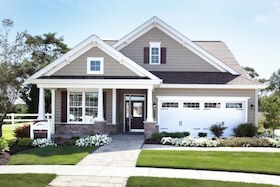 These communities were established w/ baby boomer retiree’s in mind. I just moved to Florida from Ma. We settled in the Ocala area. House prices were right. Close to everything. People are very friendly. The thing that’s the hardest is finding my way around. We love it here so far. We would love to live by the beach but we are wondering about homeowner’s insurance. I lived on the Mississippi Gulf Coast during Katrina and I know from experience that the insurance is insane if they are even writing policies anymore. Any info on insurance for Florida or somewhere where I can get the info? Did you move into an active adult community in the Ocala area? I’m also looking at Ocala. Need to do more investigating, but I like what I’ve seen so far. Thanks. Our community is a 55+ community..What is nice about Groveland we are near shopping and the turnpike and all major roads making it easy to get to Orlando where beautiful shopping malls and restaurants are abundant. We are also near the Disney properties but far enough away not to get the tourist crowds. “Trilogy” is built by Shea and has the most wonderful ammenities including a 57,000 sq.ft. state of the art club house, spa, work out gym fully equipped, classes if you prefer, clubs for almost every interest, wonderful entertainment and homes available with solar energy and eco friendly construction. If you are interested in a home we are selling our less than a year old home. We unfortunately need to move for personal reasons. It is a 2 bed plus office, 2.5 baths and 2.5 car garage with many upgrades including a gourmet kitchen with wall oven… Let me know if interested. Marlene, I have a couple of years to go before I can retire and will use that time to continue to research various areas and communities. I’m sorry about your situation and hope you sell your home soon. Weighing my options also- been looking at Sugarmill Woods for sometime now, and Palm Coast- have not been to either in person- I like the idea that SMG&CC has a nice social membership for non-golfers like me- pool, fitness and restaurant with lot’s of fun stuff at all times- I think I want a pool home with a big lanai and outdoor kitchenette- prices seem very affordable- then, I love the idea of being within 15 min to the beach in Palm Coast- the land doesn’t appear as pretty as some on the gulf side? they claim that they never have hurricanes, still need to investigate cost for insurance- any ideas? Hi Tony, I’m in a condo in Naples, too congested here for us. Where are you in Fort Myers? There are so many places to check out it’s confusing, I like to get recommendations. Hi Virginia,We are East of I-75 along the Treeline area. Aside from where we are, Pelican Preserve (55+), there are several other wonderful communities between Colonial and Daniels on Treeline. Come check them all out. Yes, we get congested in the winter but our location, although close to shopping, doctors, etc., we are just far enough away to make a nice difference in traffic issues. Let me know if you have any specific questions about our area/community. Someone earlier mentioned The Villages in central FL. I would like to add that there are over 3000 clubs and activities in The Villages. Free executive golf at 35+ courses and 13 country club courses, 11 of which have 27 holes. Over 30 recreation centers each with 2 or more rooms for groups, a billiards room, a swimming pool, and 2 or more outdoor activities such as shuffleboard, bocce, horseshoes, etc. There is no place like The Villages on this earth. If you are still determined to move to Florida the interior is worse than awful in the summer and colder in the winter but of course not like up North. The West Coast is as a rule quieter and not as expensive. Yes, the homeowners and flood insurance on a house that is older then 10 years and 400k runs about 450 and higher a month and does not include sink hole insurance. Flood is 400 and up a year. And do not forget about the home owners fee on your place if you are in a gated community.